Mackay Bar Outfitters and Guest Ranch takes great pride in providing a very comfortable and well-equipped hunting camp. We strive to provide exquisite accommodations that include wonderful home cooked meals, clean wall tents, warm showers, and guides that are friendly and ready to help accommodate at the drop of a dime. A unique aspect of hunting Idaho is that a non-resident deer or elk tag, excluding non-resident Junior Mentored deer or elk tags, are valid to take a black bear, mountain lion or gray wolf, if a season is open for that species, instead of a deer or elk where and when the deer or elk tag is valid, and there is an open deer or elk season in that same unit. Here at Mackay Bar Ranch, we’re able to start our “any weapon” including rifle or bow hunts September 15, which is the heart of the rut for bull elk. Most of the Early Season hunt will consist of covering country until you find a bull that wants to engage. Then, our experienced guide will help you get in a position for the bull to come to you. If all goes right you will have the adrenalin rush that only stems from a 700-800 pound animal bugling right in your face. The vibration of his call will blow through your whole body like a freight train. We’ve seen people watch monster bulls walk out of sight just because the hunter was so worked up he forgot to shoot. The location we hunt takes 5 hours on horse to get to base camp (5 hour horseback ride from Mackay Bar Ranch to Quarts Spring Camp or 5 hour horseback ride from Chamberlain Basis to our Sleepy Hollow Camp). Our camps sits at 7,300-7,400 feet in elevation. From there we hunt down to about 5000 feet. The reason we camp so high is because in the mornings you can hear and see for miles and miles. Our hunts require you to be in extremely good physical shape. 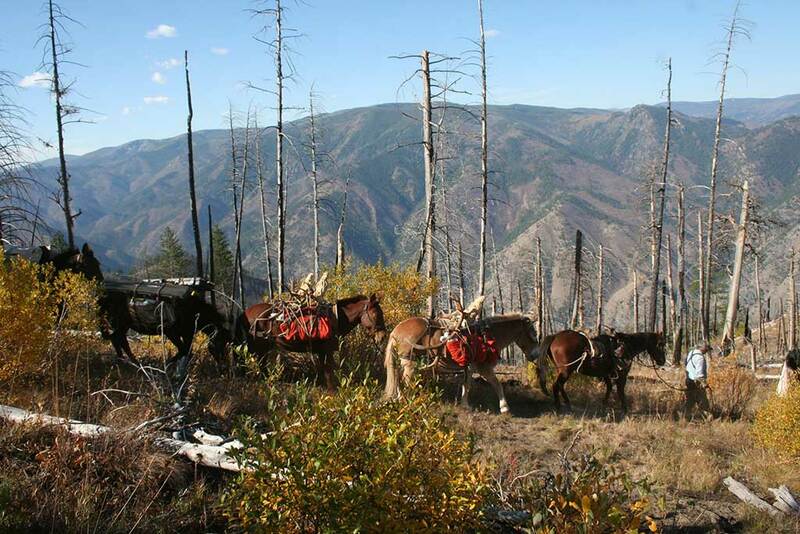 These are back country Wilderness hunts and require hiking and horseback riding in extreme conditions and terrain. Our Quartz Spring camp includes jet boat transportation to/from Viengar Creek Boat ramp (26 miles East of Riggins ID). 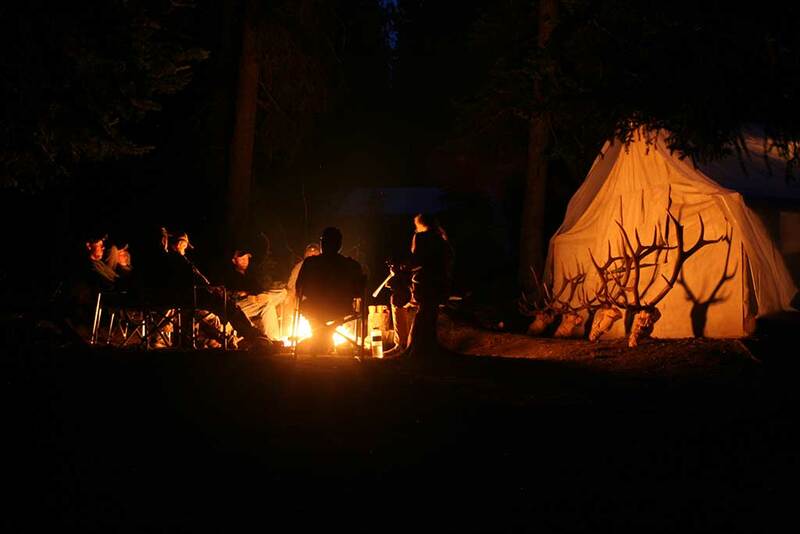 Our Sleepy Hollow camp requires an additional cost for transportation to/from Cascade/McCall, ID to Chamberlain Airstrip (as well as to transport your meat). We have only 6 hunters in each wilderness camp any given week. 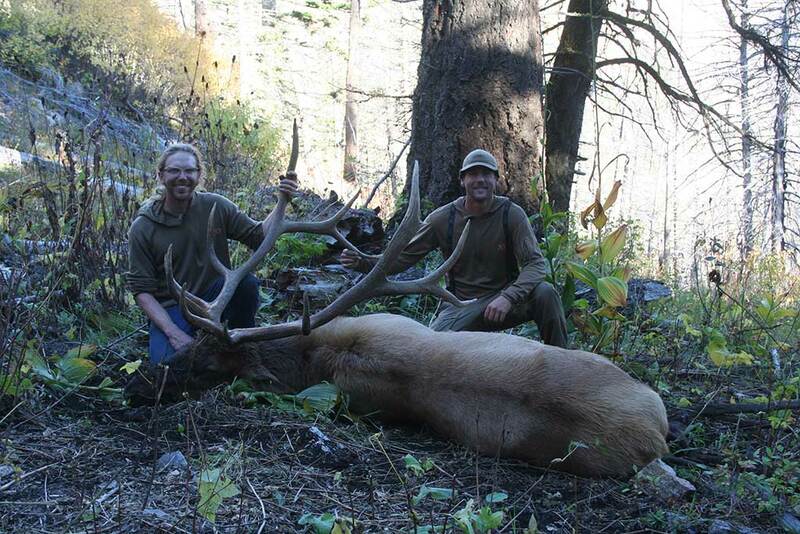 If you love adventure then you must try bugling in a rutting bull elk! During our early season hunts, you are able to hunt deer as well. However, we do focus on big bulls during this hunt. Mackay Bar Ranch offers a very unique hunting/fishing experience in November! Spend 5 days and 4 nights in comfortable accommodations at our Mackay Bar Ranch where you will be served breakfast and dinner right at our main lodge. You will take off each day and fish and hunt out of one of heated jet boats up/down the river glassing for deer and steelhead fishing! This hunt focuses on deer but you are welcome to have an elk tag as well. The more mature bulls will be split from their cows during our later hunts (November) and the elk and deer will be closer to the river. Hunts at Mackay Bar can be very physical because our steep canyon walls. The later hunts provide an opportunity to throw your line in for some amazing steelhead fishing while your experienced guide is glassing the hillsides for elk and deer! The later season hunts are ideal to bring the whole family. Mackay Bar Ranch has the lodging, boats and equipment to provide a quality family hunting vacation (for hunters and nonhunters alike). Breakfasts will be served at 7 am and dinner at 7pm at our main lodge. Your guide will be with you throughout the day.